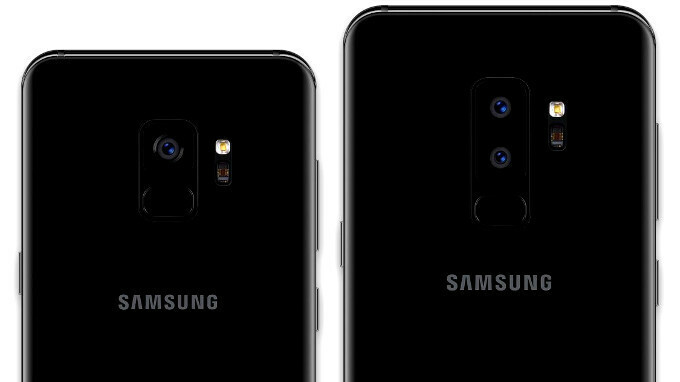 So, Samsung's Galaxy S9 and S9+ are coming up and, judging by all the rumors, they are shaping up to be a hot pair of top-shelf smartphones! Of course, Samsung has long been known to throw everything trendy and a pinch of futuristic tech into its devices. It's worked great for it so far — the Galaxy S line has held the top spot for Android flagships for quite some time now. Of course, Samsung is no stranger to also borrowing some features from its fierce competitors — you want to stay in the game, you arm yourself. And the latest leak, courtesy of SamCentral, shows us that the company has been working hard on a Face ID-like face-scanner and Animoji-like “3D Stickers”. To clear some things up — Samsung has had face scan on its phones since last year. However, this new feature will be called “Intelligent Scan”. By using both the iris scanner and the face-scanning capabilities of the selfie camera, Sammy will be able to provide a fast, secure lock mechanism, which would reportedly work both in dark and bright conditions. Also, it will unlock the user's phone immediately — no need to swipe on the display or interact with the phone in any other way, aside from looking at it. So, a very similar type of operation to Face ID. 3D stickers — well, that sounds pretty self-explanatory. Last year, Samsung had “stickers” in the camera software, which find the user's face and put an animated augmentation on top of it. Kind of like Snapchat's lenses or Instagram's face filters. Samsung's adaptation, however, is decidedly two-dimensional. This year, we might see full-on 3D masks, a-la Face Rig, MSQRD, and yes — Animoji. The Samsung Galaxy S9 and S9+ are about to be unveiled on the 25th of February and the leaks are already piling up. We do hope that Sammy still has some surprises up its sleeve. Animoji is just a gimmick starting from Apple. Samsung follows again! Boo! With face id on Samsung & iOS do your events have to be open or can someone unlock your phone using your face while you are asleep? The X you can set it to have live interactions so that you're eyes have to be open in order to unlock the phone if you so desire. I only use iris scanning on my note 8 as thats the most secure way to unlock a phone to date. If it truly uses both facial scanning and iris it's going to be far more secure than Face ID. That's not copying, that's improving on something.